Tamlin International Homes Ltd., established in 1977, based in Coquitlam, B.C., is proud to be 100% Canadian owned and operated. Our role as a general contractor is to manage and construct projects from start to move-in ready completion. We work directly with architects, developers and other professionals, depending on the scope of each project. With our proven Design-Build system, maximum effort is focused on balancing the design and construction budget for each project, from the very beginning of the planning process. Our experienced in-house project managers, designers, administration/accounting staff, dependable subtrades and dedicated hands-on owners are the reason for our recognition as a leader in the housing industry. Tamlin utilizes UDA Construction Suite to organize all construction information including estimates, schedules and contracts, and this software technology is linked to our accounting software, QuickBooks, which enables the most efficient real-time cost tracking system for cash flow management. We understand the key to success of each project is meeting our client’s objectives, and this is accomplished through careful planning and the right level of communication at each step in the process. This allows each project to move forward within a framework where realistic expectations concerning costs, quality and speed are openly discussed and agreed. This process results in increased efficiency, and meeting objectives throughout the building process. Tamlin Homes has a long building history with Canada’s First Nations communities. In 2016-17 the company designed and built a 6,500 sq. 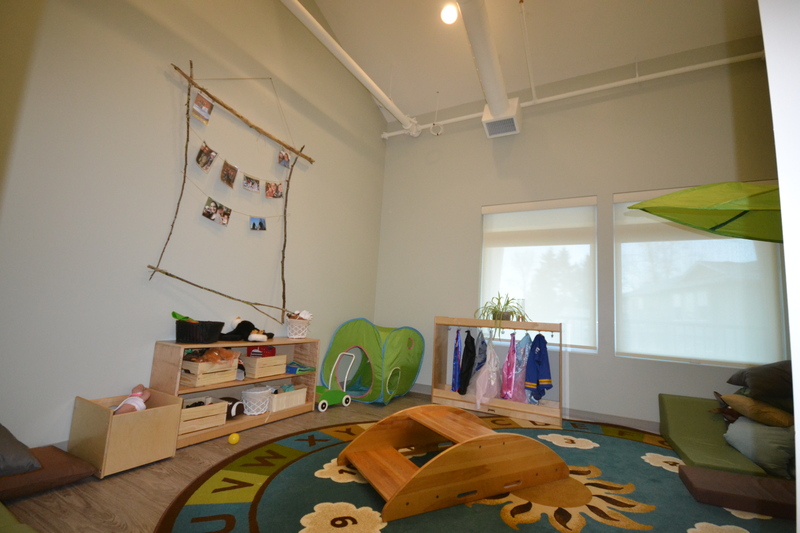 ft. licensed Daycare Facility with administration offices in Pitt Meadows, B.C. Tamlin worked closely with Katzie First Nations, from the “conceptual” stage through to “move-in” ready completion of the building. This involved building trust, establishing a dependable line of communication, and working within budgets and timeframes. In the district of West Vancouver, Tamlin was chosen to work on the major renovation and restoration of the Gleneagles Golf Course. Tamlin worked with KMBR Architects and took on the task of restoring the Great Hall which is a custom timber heritage building. In addition, Tamlin also added on a Golf Services Building, a pro shop and a restaurant/bistro. The restoration of the site followed all the guidelines set forth by the heritage society by restoring/reusing as much material as possible. All the new timber components were manufactures at Tamlin to match the existing log and timber work. This award winning facility was the recipient of ‘Best Commercial Renovation in the Fraser Valley’. Tamlin incorporated the latest building technology including geothermal heating/cooling, automated lighting, storm water retention system, soya based spray foam insulation, 50-year metal roof, recycled tile carpet, post and beam and conventional framing, as well as reclaimed wide plank engineered hardwood flooring. It is approximately 5.000 square feet in offices and 5,000 square feet in warehouse improvements. In 2012-2013, Tamlin built this prefabricated Ranger Cabin in Cape Scott Provincial Park. Tamlin researched, recommended and supplied a lightweight PIN pier foundation system which could be installed without the need for equipment due to the extremely remote location of this project. All materials had to be specially packed in lifts of 750 to 900 lbs. in order for the delivery to be made by helicopter. In 2013, Tamlin designed and manufactured all the timber components for this Smelt Bay Covered Shelter. All the materials were supplied by Tamlin and we also were the general contractors for this project. This 15,000 square foot glulaminated timber structure was designed my Tamlin and Casa de Cedro Architects in 2003. Tamlin supplied all the prefabricated components with structural steel connections and the roof system. In order to ship this project to the Canary Islands, Tamlin used 7 – 40 foot high cube containers shipped with ocean freights. Tamlin also provided construction support for the resort. This was designed by Tamlin Homes in partnership with CedarCoast Ltd., and UK Engineer/Architect, in 2006. It is approximately 16,000 square feet. Tamlin provided the glulaminated timber structure, western red cedar sidings, douglas fir roof system, hybrid roof design, vaulted ceilings, and the prefabricated components with structural steel connections. In order to ship this to the UK, Tamlin used 12 – 40 foot high cube containers shipped with ocean freight. Tamlin also provided construction support.